Reading is a complex process which takes time – it is based on building a wide vocabulary through listening and talking; the more words a child understands the better they will be able to make sense of what they read. Vocabulary development comes from having lots of experiences which extend the child’s spoken language and their understanding of what is being said to them. Understanding the way the spoken language works and how words can be broken into sounds and how sounds are put together to make words is part of the process which children who have opportunities to play with language develop over a period of time. Ultimately it involves reading with understanding through applying phonic knowledge to words which can be sounded phonetically and learning to read other words through familiarization. 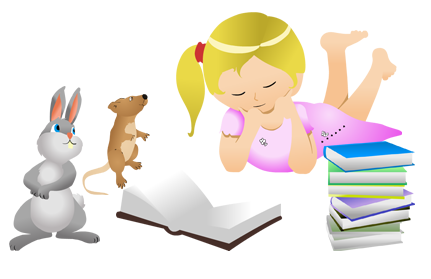 At Toybox children are encouraged to enjoy books and other printed materials, practitioners will promote reading by telling stories and introducing sensory books. Practitioners will also sing songs with children which are repeated helping the children to remember and learn them. This allows children to feel books as well as explore colour and pictures. Staff members ensure children from an early stage learn how to handle books appropriately in order to prolong the life of the books. Children develop the early stages of writing from a very young age; this includes any marks they make whether it is with their hands, crayons, paints or chalks. This can also be enhanced by providing sensory activities, such as sand play, gloop or paint for the children to make marks in using their large muscles (gross motor skills) or their fingertips (fine motor skills) this development is vital for the later stages of writing. Activities Toybox use to promote Literacy include touch feely books, light and sound boards, picture cards, paint and wet sand.